« Why did your best person leave? When I was a new inexperienced sales person, I dreaded getting objections from my prospects. 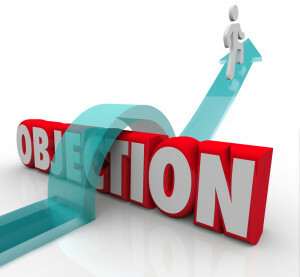 As I studied and trained, I learned that objections were actually gifts! I learned to think of objections in a particular way and I embraced them. I saw objections as a blessing. Without understanding my prospects concerns, I can’t help them overcome the objections. Additionally, I learned some great techniques in dealing with objections. Gratitude - When you hear an objection, say to yourself, “Thank you.” Your client just gave you a gift. Be grateful for the objection. Get further clarification - Now that your client feels understood, dig deeper. Keep the conversation moving. Experts say that it takes 4-5 layers of questions to really uncover the nature of the objection. Show Value - By understanding your client’s objection, you’ll be able to determine what is important to them. You’ll know why their concern matters. You can then align your product’s features and benefits with the objection they have shared. The value you demonstrate will be greatly enhanced when your solutions are directly aligned with the challenges your client is facing. Use 3rd party verification - Backup your claim with proof and client testimonials. Your solution to the objection will bear credibility when you share success stories other clients have experienced. If you follow this process you will be amazed! I can proudly say that my sales career flourished when I became open and willing to hear objections. You, too can have increased sales success using these steps.